Want to experience adventures on the historic Hudson River, aka "the river that flows both ways"? Then you've come to the right place! we have many activities for you to choose from!! NO RIVER RIDERS EVENTS AUGUST 3RD! please check our program page for more info! Help us raise $15,000 for our 2018 paddling season to add more boats to our fleet, make necessary repairs to our existing boats & paddleboards, and purchase additional safety gear. We're looking for both experienced kayakers and newbies to join our team of volunteers. There's no minimum commitment, so come down and help us when you can! 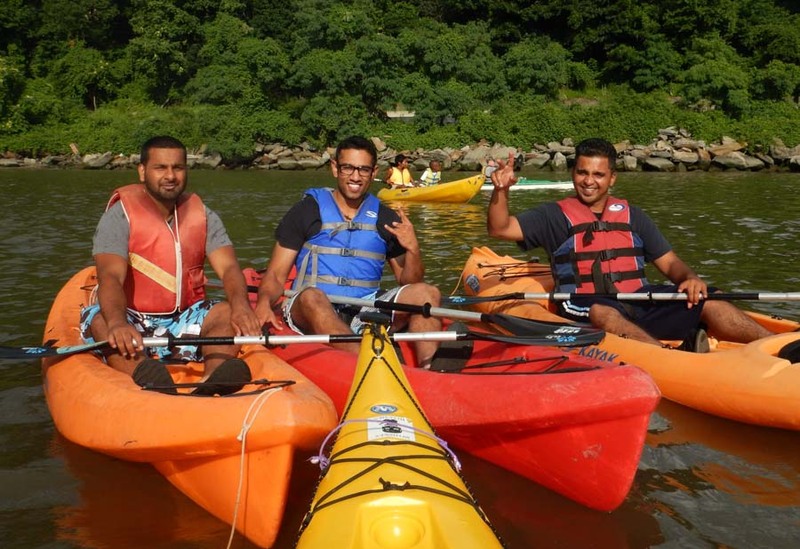 Our volunteers get exclusive access to special trips around the NY Harbor and the Hudson Valley, classes and training to help improve paddling skills, and our boathouse social events! The best way to get here is by bicycle, but we got you covered if that's not doable. By car: When driving south on Warburton Avenue, turn right at the light before the Hudson River Museum onto JFK Memorial Drive. When going North take a left at the light after the museum onto JFK Memorial Drive. Go down the hill over the railroad bridge, and look for us at the north end of the park. By train: Take the metro north Hudson line, and get off at the Glenwood stop. Walk one block to and take a left on Ravine Avenue (north), proceed through Trevor Park (7 minute walk) towards JFK Marina, cross the railroad bridge, and walk to the north end of the park. Join Yonkers Paddling and Rowing Club as a River Riders Youth Member, Adult Individual or Family. Please help us get closer to our goal of raising $15,000 for the 2018 kayaking season. Make a tax-deductible donation today! Visit the Donate page for more info. There is no minimum commitment! Experienced Kayakers are needed on the water, and beginners are needed on land. Help make the experience possible for others!